A Big Time Chardonnay For A Little Price! I’m always on the look out for a good Chardonnay that is what Chardonnay lovers want – a good textured, creamy wine with a nice buttery soft texture without a ton of oak. And while you can find these for $35-50 pretty easily, it’s almost impossible to find a good one that’s under $20. Most in that price category are “unoaked” or lightly oaked – which is fine, but they tend to be light and crisp and lack that creamy texture people want. I can’t tell you why we were able to get such a screaming deal on this delicious Chardonnay, but I can tell you it’s exactly what I was looking for. 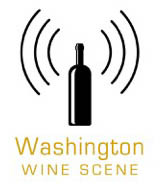 This wine from a tiny Washington producer is hand crafted and sourced from two vineyards in Yakima, then aged “sur lie” which means they leave the yeast sediment in the barrel while it’s aging to add layers of flavor. And while 50% of this wine aged in new French Oak and the rest in previously used barrels, the wine gets its creaminess without being overly oaky at the same time. Most wine at this price would be lucky if it was “oaked” with wood chips rather than new $1000 barrels. Expect that buttery popcorn flavor with hints of pear and melon, and a subtle Meyer lemon finish with a good rich texture without going overboard. For this price I bought a case for myself at what was a one time winery direct deal! Dr. Wade Wolfe, a geologist who started his legendary career as a winemaker for Chateau Ste. Michelle in 1978, is as much of a grower as a winemaker and still has his roots firmly planted in the vineyards. I am sure Dr. Wolfe would appreciate it that I refer to him as old school, which also means that he still makes wine the old fashioned way, without any coloring components or modern additives that a lot of the hot new young winemakers secretly embrace to make their flashy wines taste more appealing. 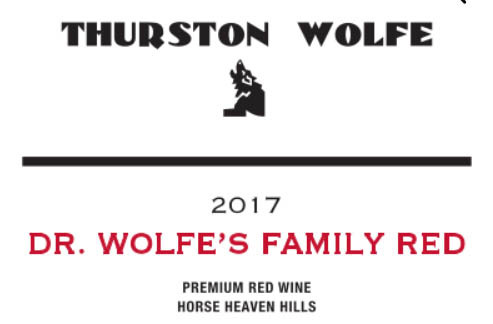 That’s why I was so impressed with the Dr. Wolfe’s Family Red – I know it’s ONLY grapes, made in barrels, no tricks up the sleeve. And for a wine under $20 these days that is becoming harder and harder to find. His 2017 signature red blend is 62% Zinfandel, 29% Petite Sirah for depth, and a little splash of Lemberger which added light spicy hints and elevated the entirety of the blend.